A man died off Roches Point last night with another fatality off Malin Head today. TWO DIVERS HAVE died in separate incidents at sea in Cork and Donegal last night and this morning. 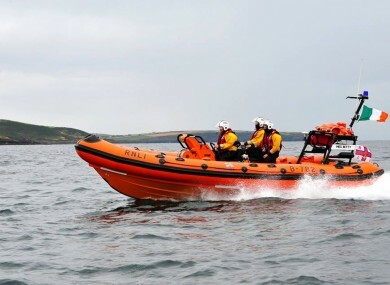 The first man died after being recovered by a lifeboat at Roches Point in Co Cork last night. The volunteers of Crosshaven RNLI were called to the scene by a group of divers in a dive boat just after 6pm when the man became unresponsive during the course of a dive. The lifeboat met the dive boat on its way back to shore at Fort Camden in Cork Harbour and the man was moved to the lifeboat for swift transfer. The lifeboat crew immediately took over first aid before they were met ashore by Crosshaven RNLI’s Dr John Murphy and Crosshaven Coast Guard. Crosshaven Coast Guard had been contacted to prepare a helicopter landing site at at the GAA pitch on Camden Road but this was not required. The man was then transferred to the national ambulance service who took him to hospital where later he died. In another incident, a man believed to be Polish national died after he got into difficulty diving off the Malin Head coast of morning. The Donegal Daily reports that the 45-year-old man was part of a group who were diving about 4 nautical miles off the coast. A distress signal was made at 7.50am this morning and helicopters based out of Sligo and Antrim both scrambled to the scene. A British Navy helicopter which was in the area at the time got to the casualty first and he was taken to Altnagelvin Hospital in Derry where he was later pronounced dead. Email “Two divers die in separate incidents in Cork and Donegal”. Feedback on “Two divers die in separate incidents in Cork and Donegal”.